We're still adding items, and we're so excited to offer our customers a new and convenient way of ordering! As a thank you for ordering through our online store, you'll enjoy IMMEDIATE SAVINGS on the print materials you need, FREE DELIVERY on orders over $100, and your order will be completed within 2 BUSINESS DAYS (free delivery is limited to a 20 mile delivery radius). 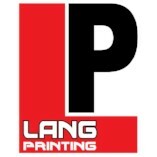 Visit our Place an Order page to send us a file and order details if you'd like us to start printing or Request a Quote if you'd like more information!